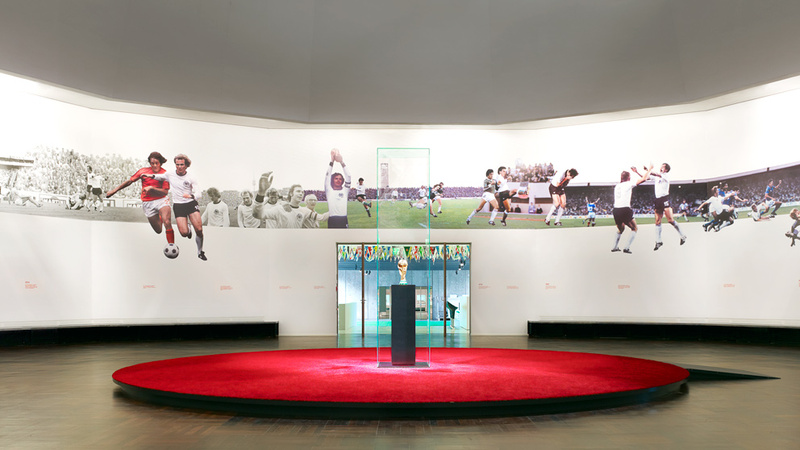 »Gefühle, wo man schwer beschreiben kann [emotions that are difficult to explain]«: These words used by the overwhelmed Jürgen Klinsmann after the victory of the European Football Championship in 1996 did not only give the exhibition its name, but also became the leitmotiv of the entire staging. 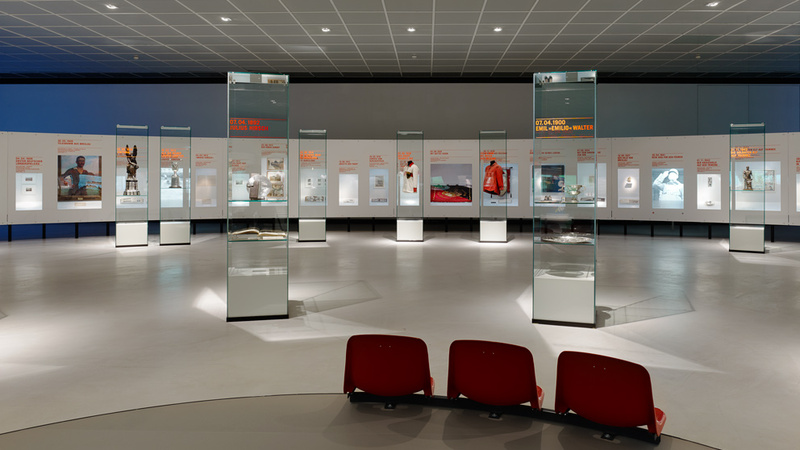 To intuitively experience the emotions of football, fascinating and original memorabilia together with photo, movie and audio material of the sports’ history are presented in a way that appeals to all senses. 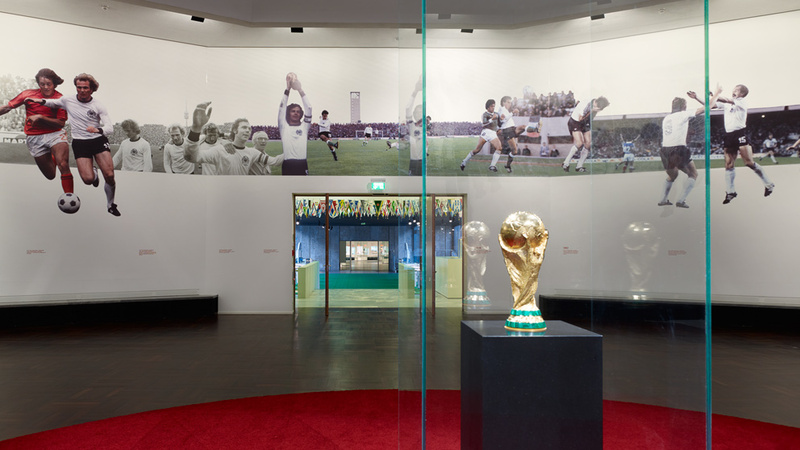 In the first room a media collage made out of film and audio sequences is putting then visitor in the mood for the main driving force of football: emotions. At the same time the collage brings the dome hall, the »Cathedral of Football« into focus where solely one exhibit is staged: the FIFA Cub. 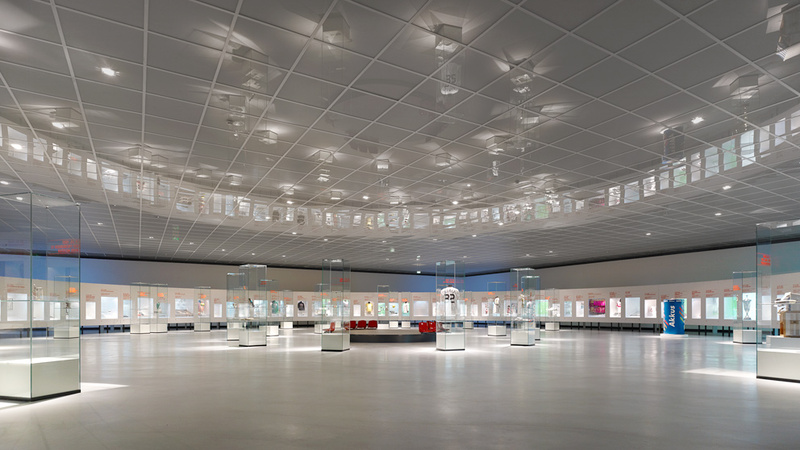 A room surrounding photomontage assembles scenes of football world championships to a »Panorama-Tableau«. In the following »Action Area«, a soccer court, a sport commentator studio, table football with several line-ups and a table football robot invite everybody to join and play. 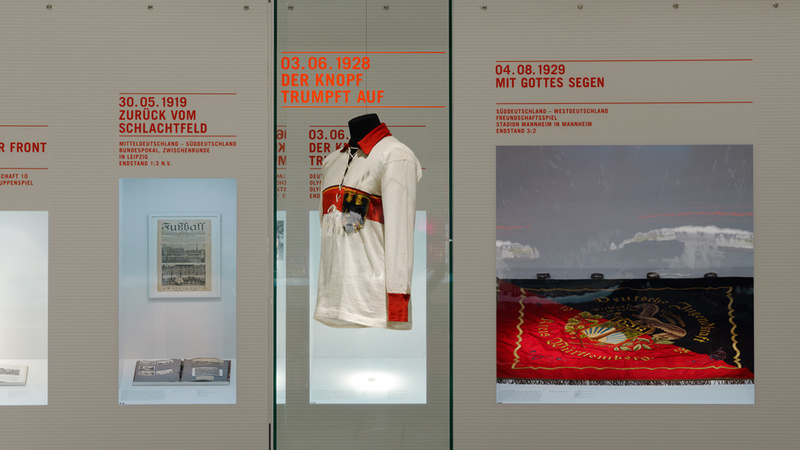 A round vitrine illustrates the rich diversity of the sport. 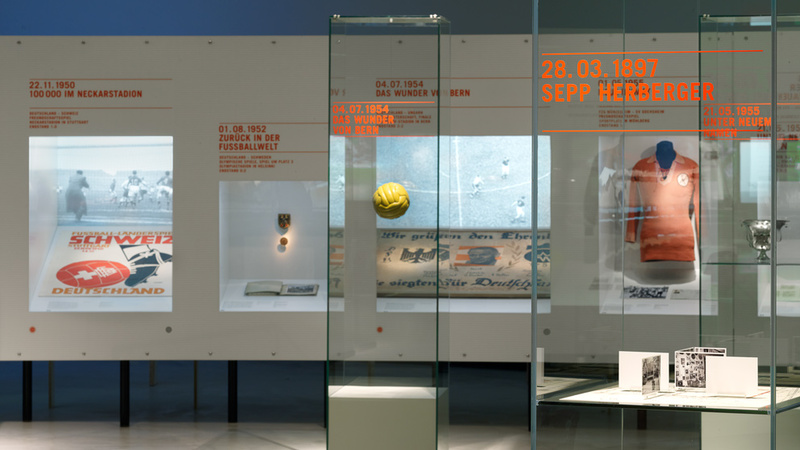 Here 90 of the most important football matches related to Southwest Germany are revived via the use of integrated media.